« Knitting Nightmares – what are yours? that’s incredible! 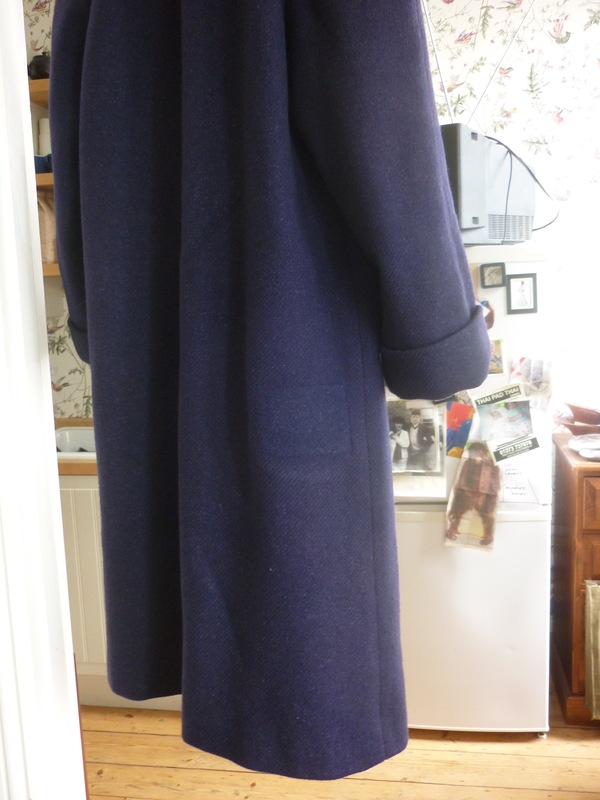 and what a beautiful coat. well worth the hard work. It makes me think of how I describe my husband as extremely talented when it comes to wood and building and he poo-poos that he is not talented but I always tell him that his talent is he is not afraid to read up on a projects and then let all caution fly out the door and do it. Many people are so afraid of failure they never give themselves a chance to try. 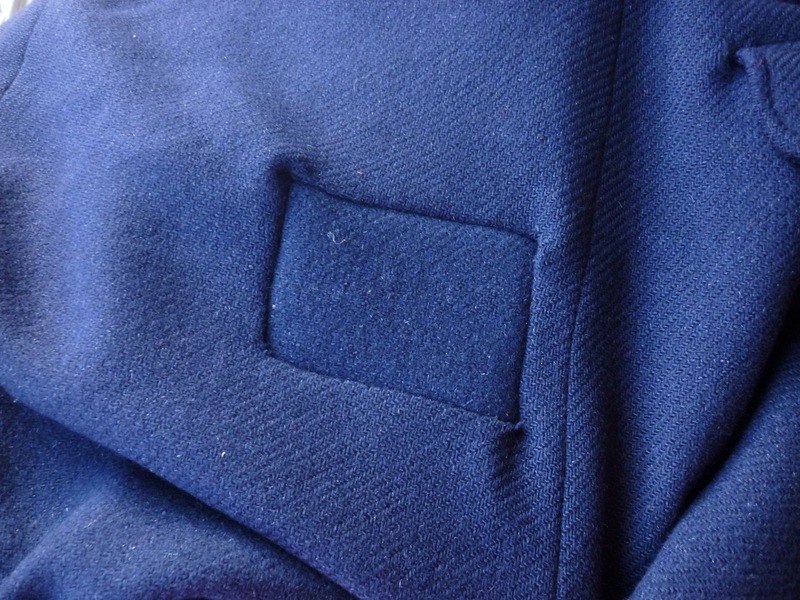 next time , take the patch from the button side of the facing–the button hole (top) tends to fly open more and the salt and pepper patch ends up more visible. Clever stuff – I am very impressed. well done. always enjoy reading your posts. I am fascinated by the term ‘Princess Anne Sleeves’ is this a term I have yet to learn? I always call them ‘raglan’. Helen, thanks also for the tip on where to get the patch material from, duly noted for my next job. 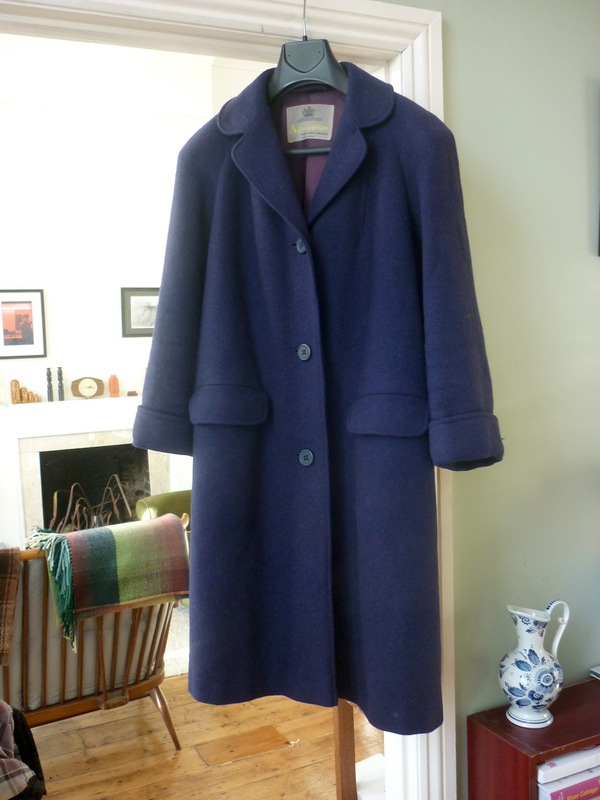 Jan, I’m not 100% sure if a Princess Anne sleeve is an official term, but that’s what my friend who owns the coat calls them. She means that these are cropped sleeves, which is not apparent as seen on the hanger. But yes, it has raglan shoulders. 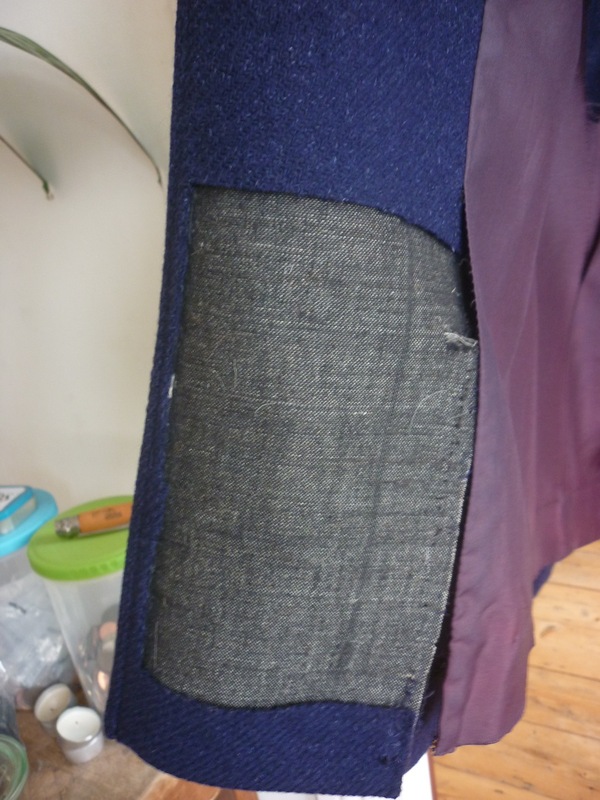 nice job, but at the risk of being picky, you cut the patch from the front facing The grey stiffener behind it is the interfacing. Ellen, I always get those facings front and back and interfacing terms mixed up. Shows you I’m a knitter at heart, not a sewer. Although I hope to learn more about sewing this year. Lovely, Tom. And so brave. Have found some serious darning jobs here which I am determined to tackle as a Lenten task. 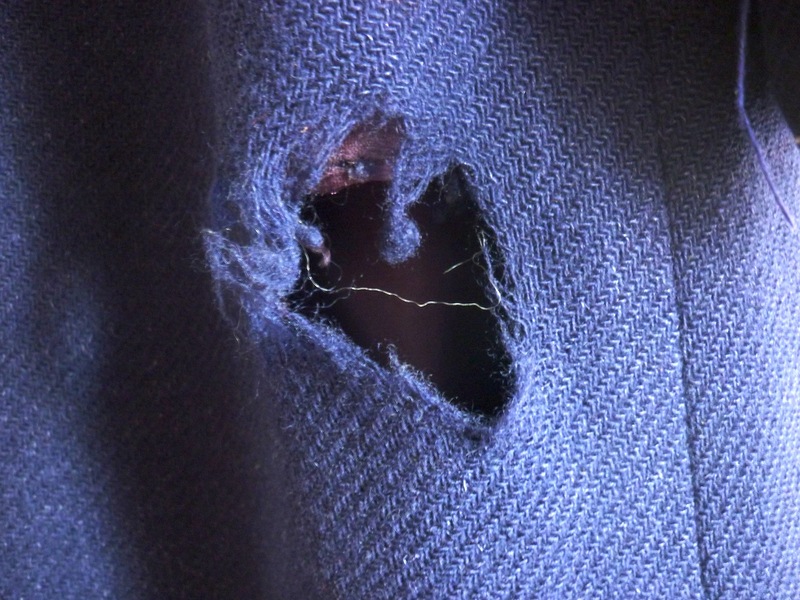 Who exactly might be the patron saint of darning I wonder? St Clare (embroiderers): or St Catherine, she of the wheel (haberdashers)? The latter seems possibly the braver of the two. I think I would go for she of the wheel too. Keep us posted on your darning jobs! It is a beautiful job. 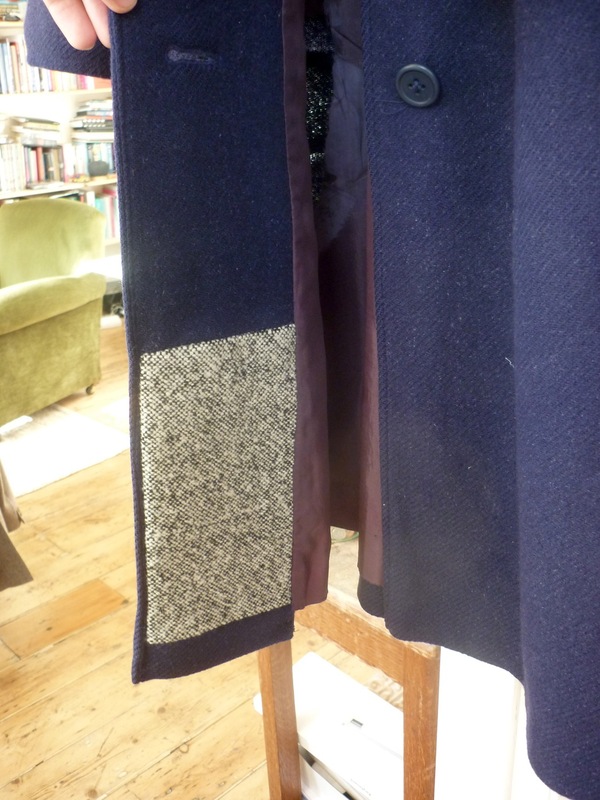 By rentering, do you mean copying the weave of the tweed using thread, to blend the patch in with the surrounding fabric? I like the stealth of this invisible mend, but also the exuberance of the visible, salt-n-pepper tweed. Your mending book has some good tips, I reckon. I love the job you did on the pocket, too. 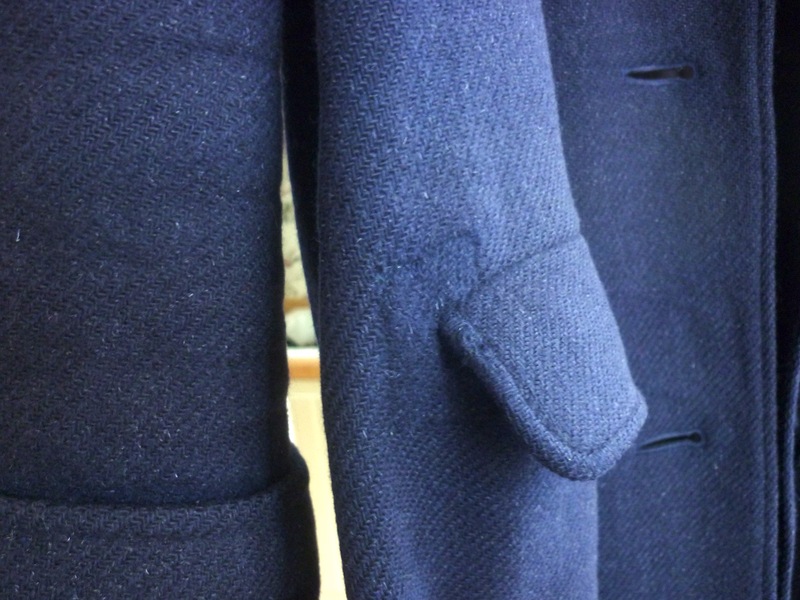 Rantering of the seam is a very nifty way of blending in the two sides of the seam to make it invisible. After seaming, you fold the cloth on the seam and then you do what resembles mattress stitch for joining up knit pieces, but instead you take one or two strands from one side of the seam and then from the other. 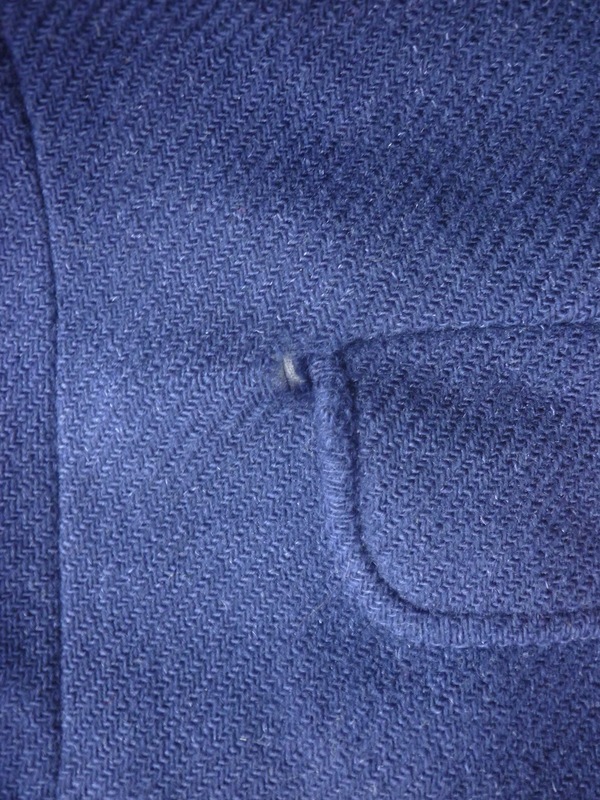 Once finished, you open up the seam and you run your needle tip over the seam to fluff it up slightly.